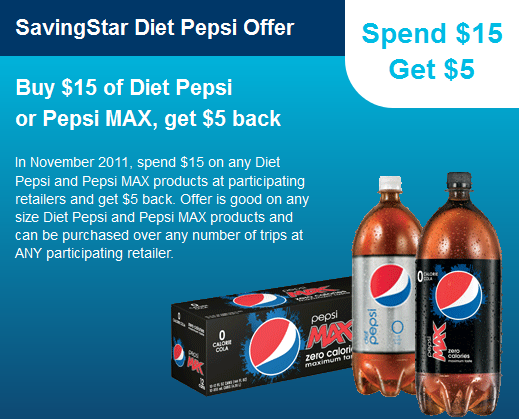 Spend $15 on Pepsi Max, Get $5 Back from SavingStar! 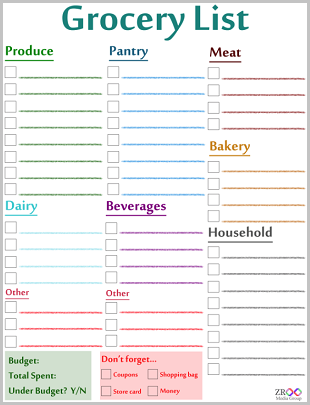 November 1, 2011 · by Zack & Katie · Post may contain affiliate links. See my disclosure policy here. Wow! Check out this offer we got in our email today! This offer from Pepsi and SavingStar is good all month long! Go here and click "get this deal" to sign up for this offer. You must be a SavingStar member to do so, if you are not, sign up here! 12 Packs are on sale at CVS the week of 11/13 for just $2.99, so you could score a pretty good deal there.